We’re a mere few days away to a week when the world stops for baseball. There are critics of the Major League Baseball All-Star Game, and mere disinterested bystanders, yet the game remains one of the highest, if not the highest-rated program of summer. It runs against very little competition, so I can’t see Fox moving it to cable anytime soon. Yes, Fox once again has the All-Star Game. This is Fox’s 16th All-Star Game, which will likely make some of you feel old, as their coverage of the Midsummer Classic goes back to 1997. It’s also, arguably, the one in which the network’s baseball coverage is undergoing the most change. The game will be the first on Fox without Tim McCarver, who went into semi-retirement after last season. 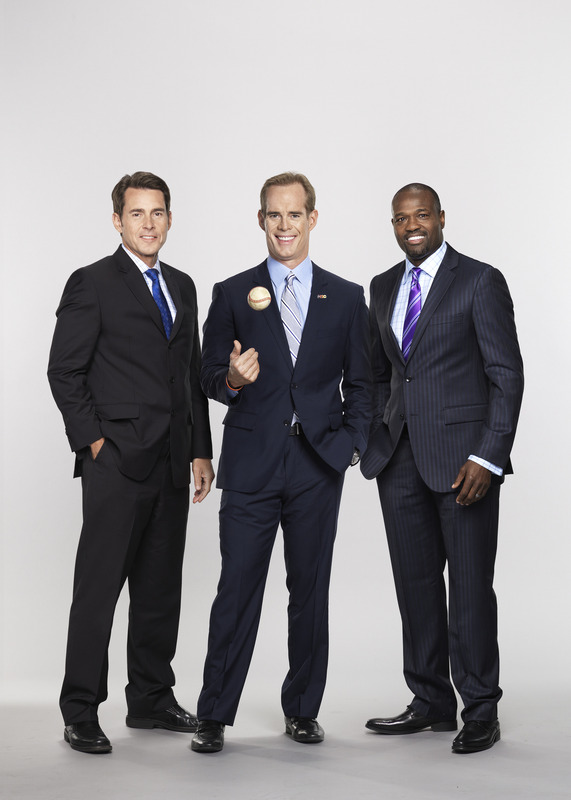 Joe Buck, Tom Verducci and Harold Reynolds will call the game together for the first time, with Buck handling his 16th All-Star Game. The three-man booth has shown promise in their sporadic assignments, with both Reynolds and Verducci better suited to the limits of the booth rather than the MLB Network studio that lets them ramble on. The excellent Kevin Burkhardt also makes his Fox All-Star debut hosting pre game coverage, while Ken Rosenthal and Erin Andrews both return as field reporters. That’s not it, however, as Fox is bringing a few innovations to the game, including their own new cable network. Fox Sports 1 hopes to benefit off the telecast, as they’re providing live coverage of the game from 1-7 p.m. ET on Monday prior to the Home Run Derby, 4:30-7 p.m. ET on Tuesday prior to the game, and extensive post-game coverage afterwards. Much of the coverage from Minneapolis will be under the guise of the network’s America’s Pregame and MLB Whiparound shows, complete with their usual casts. Gabe Kapler, Frank Thomas, Ken Rosenthal and John Paul Morosi contribute to live postage coverage on Fox Sports Live following the game. Fox is also heavily pushing technological innovation in the essentially made-for-TV showcase. Something new called “SideTrax” (what is it with Fox and the fake word “trax”?) “graphically presents the pitched baseball as it travels through the strike zone from a side perspective and also offers a view of the ball as it sails through a virtual 3D strike zone that appears suspended home plate.” More ways to see if umpires were wrong! Diamond cam — the camera embedded in the infield dirt — returns, joined by N-Cam — creating the appearance of 3D graphics in the real environment — “Super Zoom 4K cameras” — capturing action at 120 frames-per-second — and various phantom cameras and Fox’s X-mo and Super-mo cameras. They’re also bringing back a home run tracker, which will hopefully get to be used after the long ball’s hiatus from the 2013 All-Star Game. It’s always interesting to see how hard a network pushes one of its key events. While you might not think of the MLB All-Star Game as up there with the Super Bowl, World Series, Daytona 500, or maybe even Champions League Final, the ratings certainly justify a bump up in coverage every year. Also, it’s good for Fox Sports 1 to be so heavily involved, as it gives them programming that isn’t Mike Francesa during the day. Should be a fun week overall. Steve Lepore is a writer for Bloguin and a correspondent for SiriusXM NHL Network Radio.